With permission from the family, the following is a eulogy on the life of patient, Phillip Auvil, given by Rebecca Brown. I want to honor the passionate way that Philip Auvil loved life and in particular the way he loved the game of baseball. 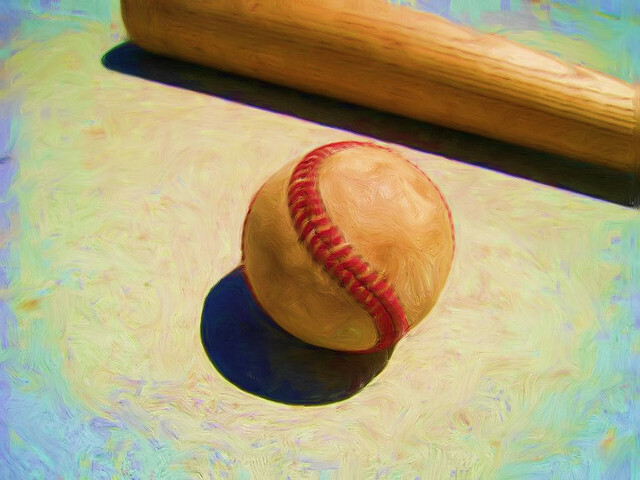 It has been noted by many that unlike the other big sports like basketball and football, baseball has no clock. No time limit or sudden death overtime. You play until someone wins… or loses. You know there is an end to the game, but never exactly when. Certainly that was Philip’s experience. He would come into the hospital for a “tune-up,” bounce back and return home. In the game of baseball you can be way behind in the score, but can rally and come back to survive another inning or even win in the end. And in baseball, like life, we often fight the hardest in the last inning of the game. I think it’s interesting that Philip loved a game where if you fail to hit safely 70% of the time you can still end up in the hall of fame. It’s a game full of strike outs, fly balls, errors, and fouls. He lived a life that benched him repeatedly, and yet he kept playing the game. In baseball, like life, you have to score when the opposing team controls the ball. You have to seize the opportunity, but you do not have the ball. Some one, some thing else does. But you step up to bat and you try to swing at the pitch you are given. In baseball, like life, those who succeed find the courage to hit a pitch they cannot predict, to swing for the fences or at least go down trying. Sometimes baseball can seem slow or like there is nothing happening. Sometimes there is a bad call or a close call. Life is too short for wasting time complaining. You are the main catalyst of your life, and YOU determine how exciting things are. This is exactly what Philip did. And… his life was exciting. With a little help from his family, he chose to not focus on the odds of his success, or the strikeout, the double play or the obstacles in his way. In baseball, like life, you can excel individually but you also need your team to win. Philip had incredible family support and friends. With them he found the “way” to enjoy life’s moments fully. Baseball is not always fair. Life is also not fair. It never has been and it never will be. You can spend time worrying about this but it is a fact and it is 100% out of your control so you can’t do anything to change it. How is baseball unfair? Umpires often make bad judgment calls that are clearly wrong and sometimes the wrong team wins. It’s not about the bad call, or the unfairness, it’s about how you react to it that defines you, in baseball and in life. It’s not an easy thing to do especially when life seems to be pitching a no hitter against you. If we figure that life is like a nine-inning game, some lives go into overtime, and then some lives get rained out in the third inning. Philip knew the prediction of rain on his game, but as the innings passed he kept his focus on what he “could do.” “It ain’t over ‘til it’s over,” right? He kept giving it his all until the final pitch was thrown. He lived life fully. He swung for the fences. He jumped for the ball, and often caught it. It was never about what he could not do, but about what he could do. The most beautiful thing about the life of Philip Auvil was that he truly and fully enjoyed the innings he got to play. The things he loved, he loved hard. The people he loved, he loved deeply. And you can’t do that sitting on the bench, or worrying about having the game called off early. The Universe calls out to us, “Play ball!” Philip did.